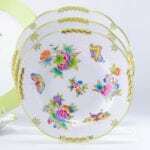 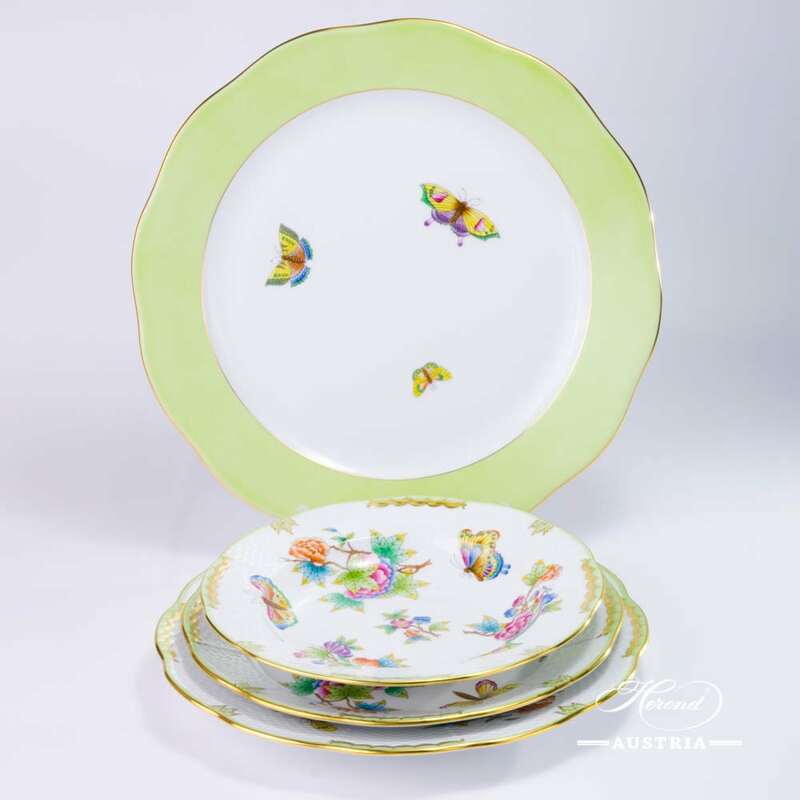 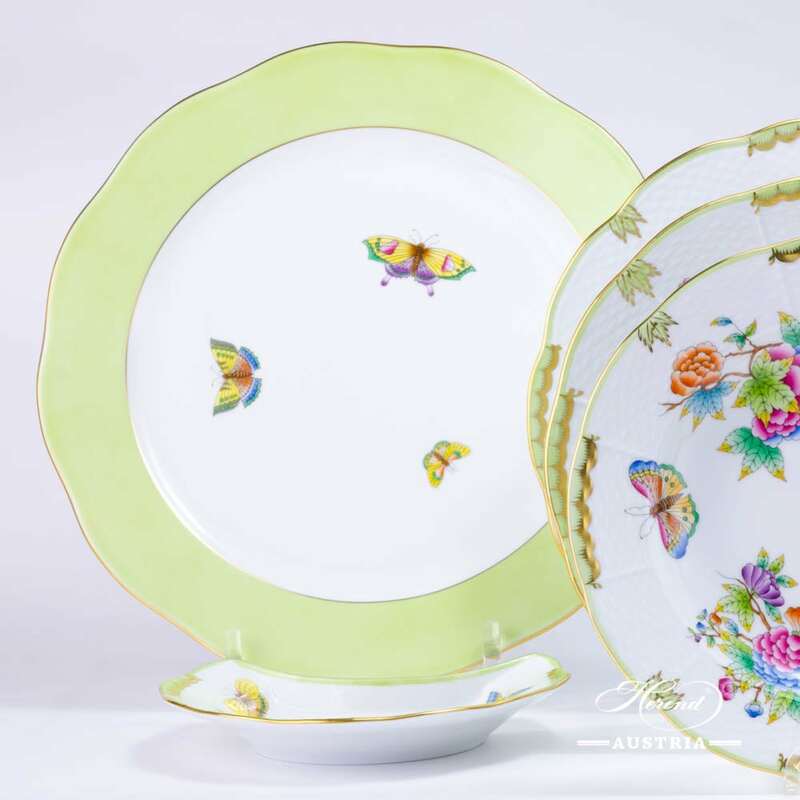 Queen Victoria VBO design – Place Setting 5 Pieces. 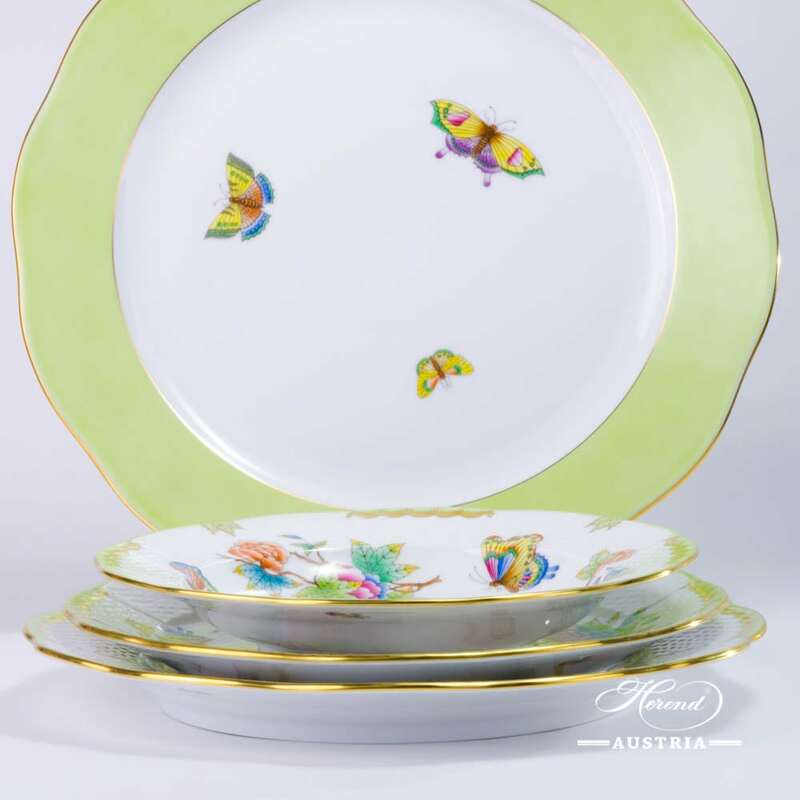 This Place Setting has four different plates and a crescent plate. 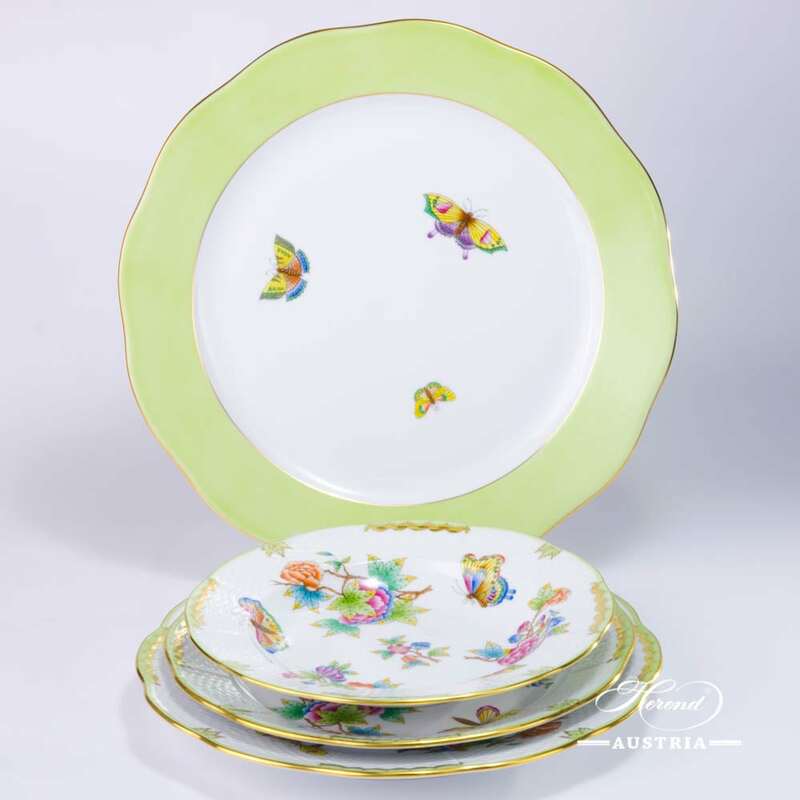 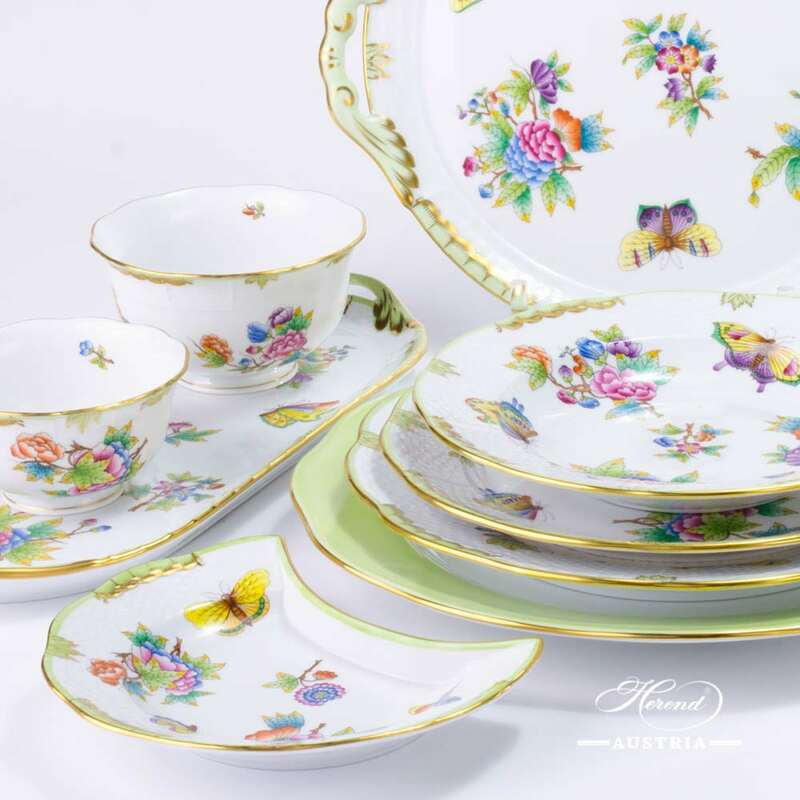 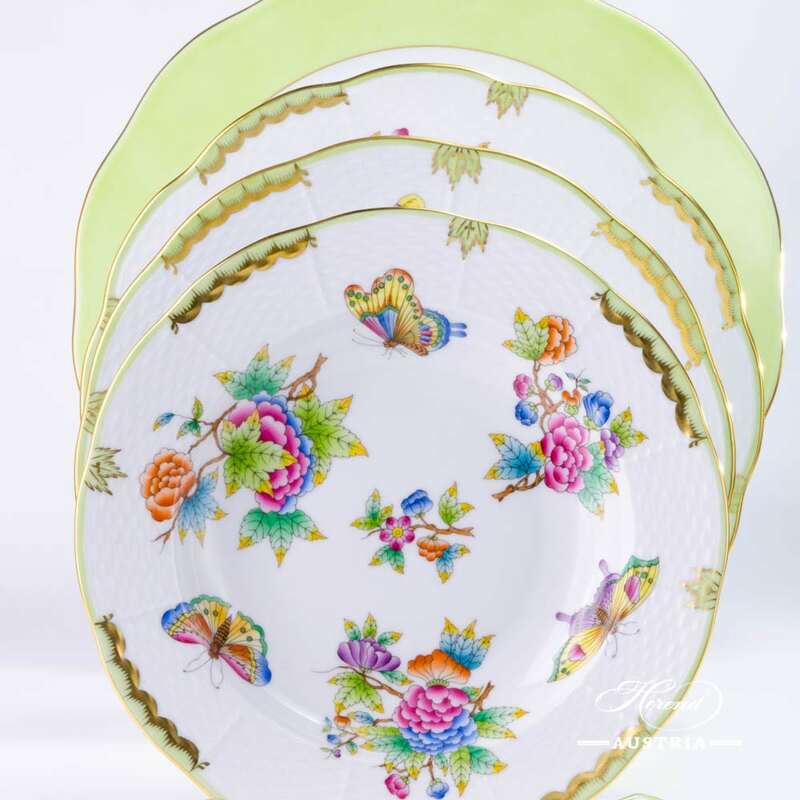 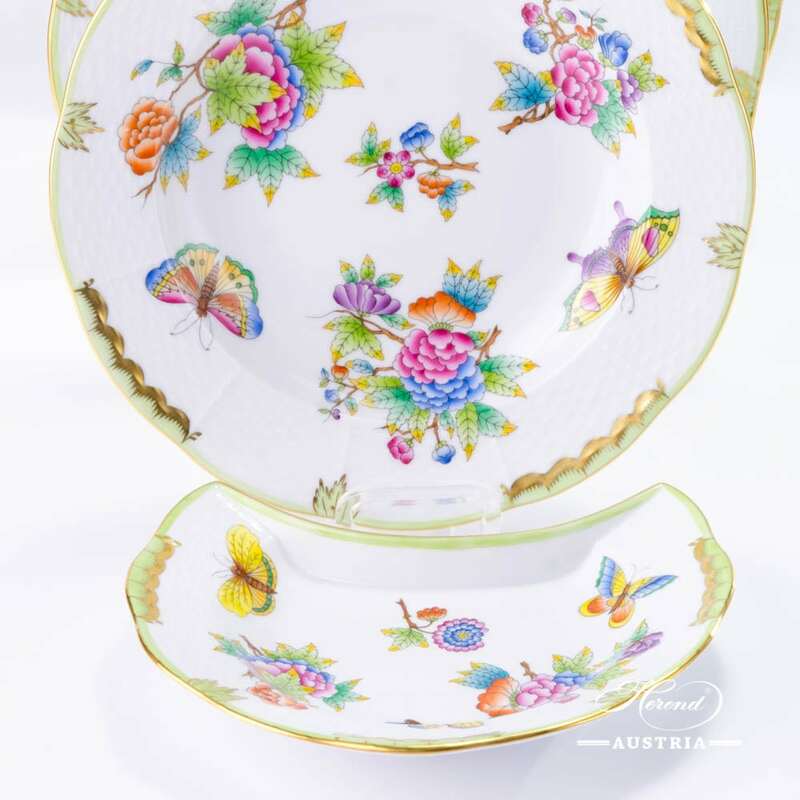 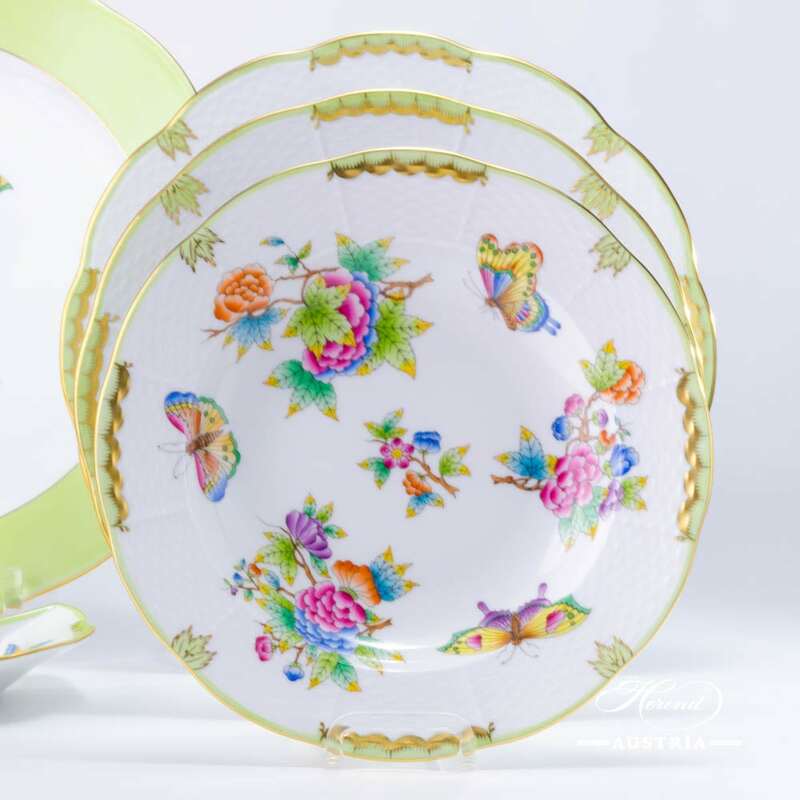 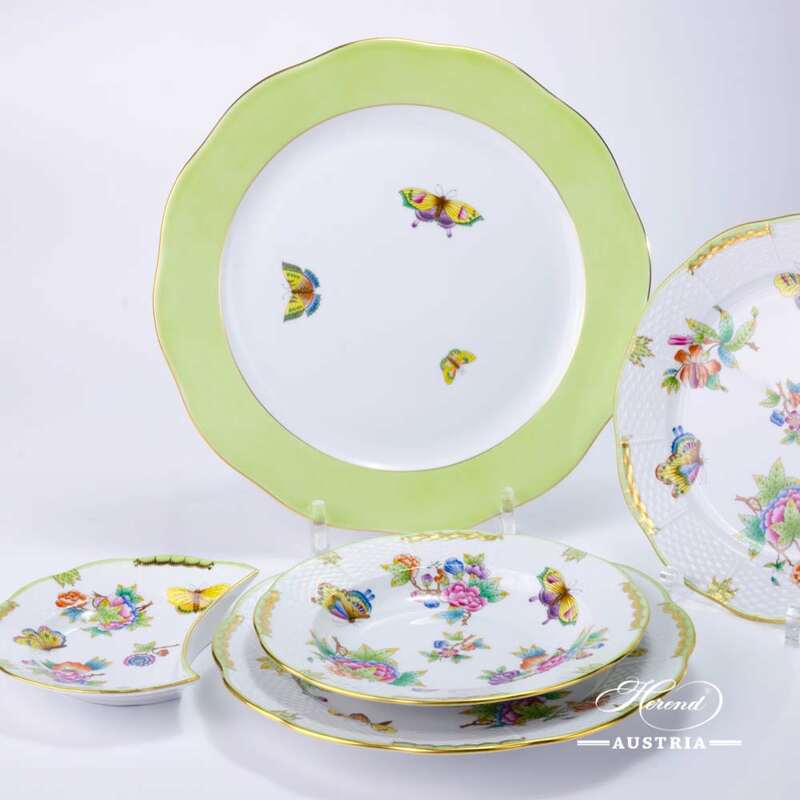 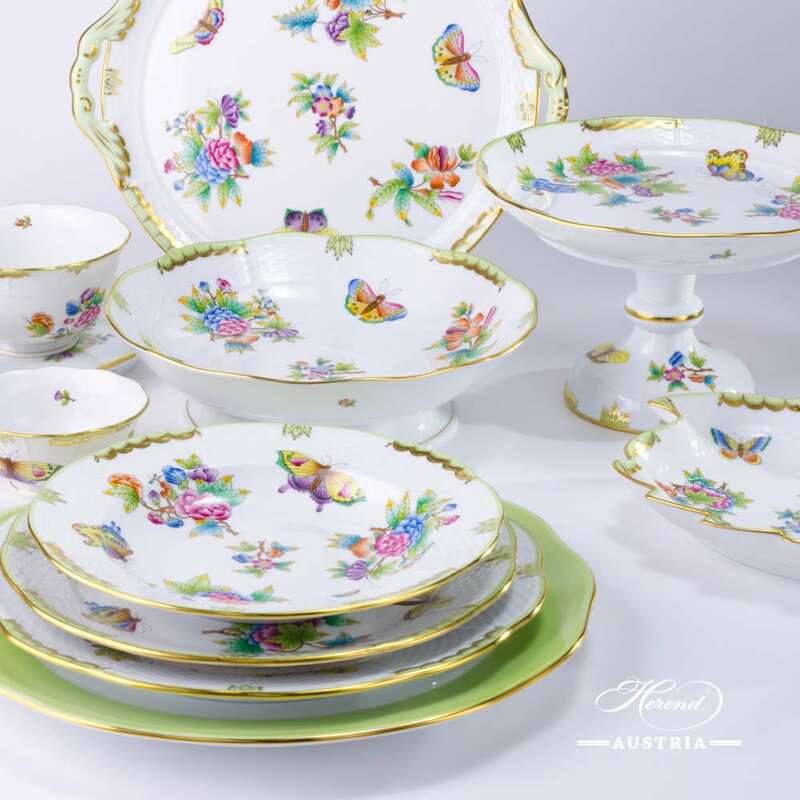 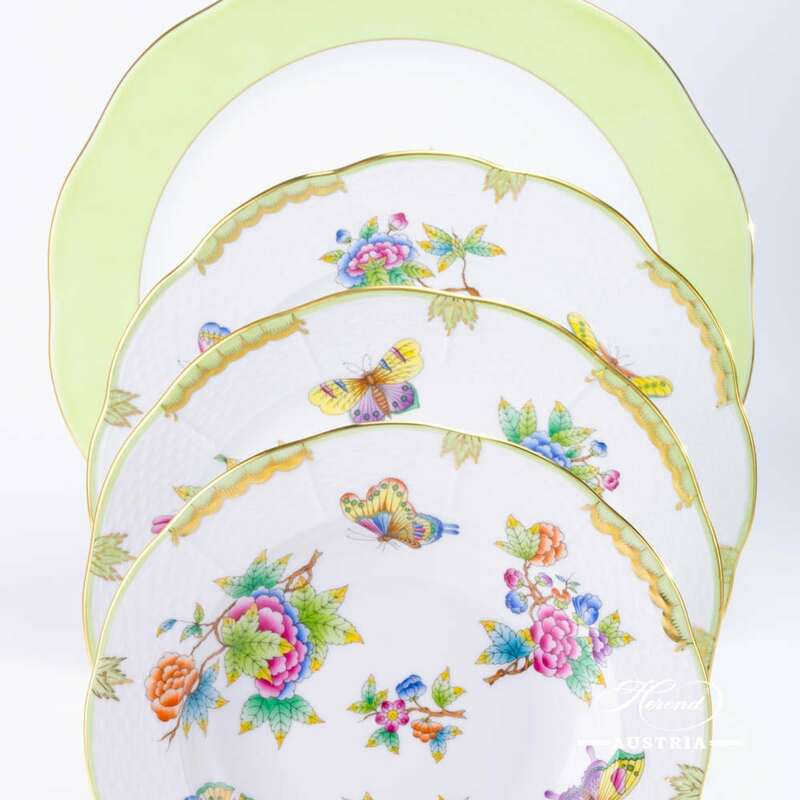 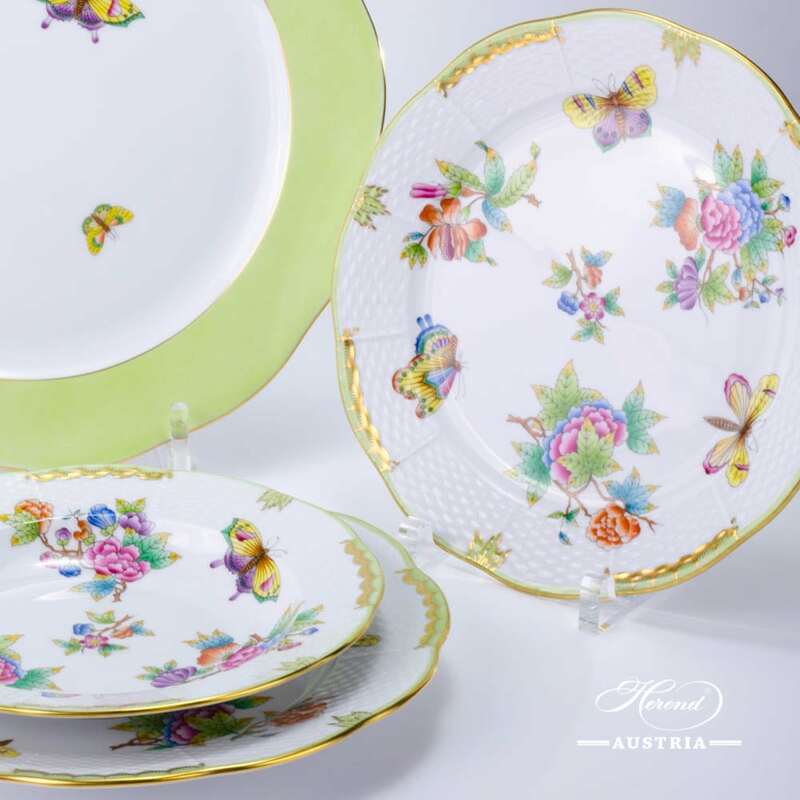 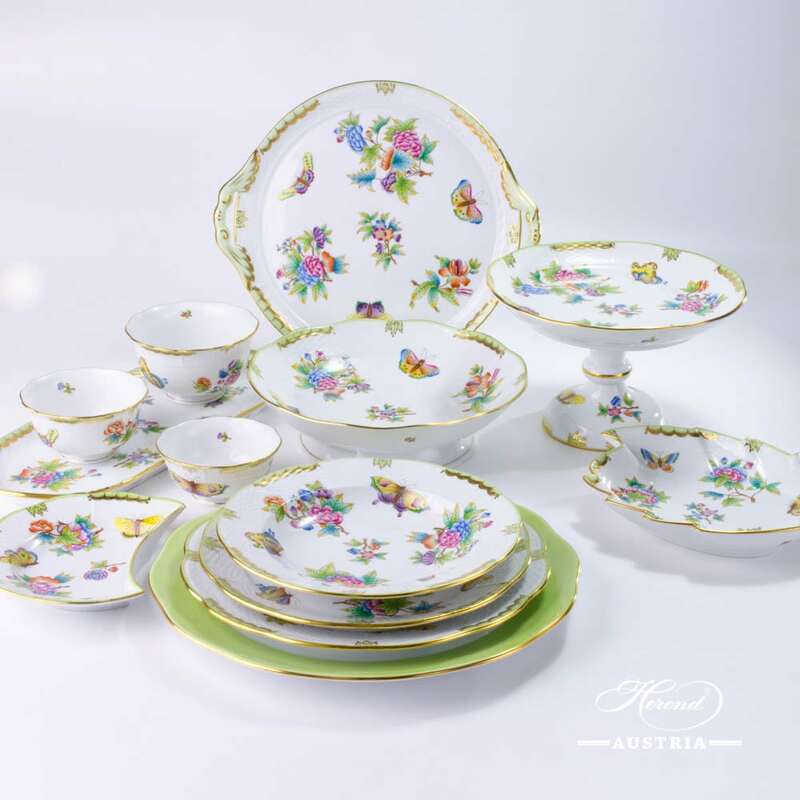 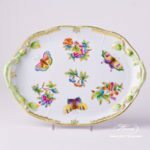 Herend fine china Place Setting 5 Pieces – Herend Queen Victoria VBO design.